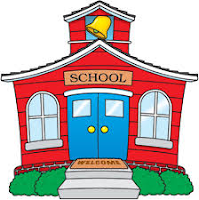 Linda Shenton Matchett: Wartime Wednesday: Do I Have to Go to School? Wartime Wednesday: Do I Have to Go to School? I lived much of my childhood in northern New Jersey, an area prone to long winters. As a result, school was often cancelled because of inclement weather. I loved missing school until we exhausted our allotment of snow days, and we had to attend classes until the end of June. Made for short summers. 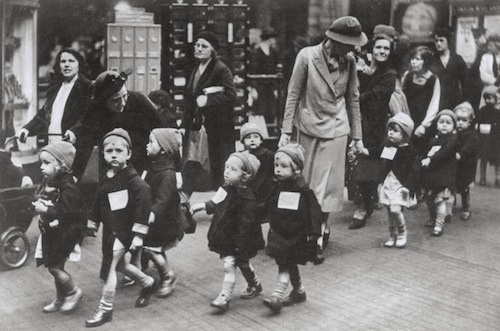 The children of wartime Britain missed school for very different reasons. evacuate all children (and their teachers) from large cities to rural areas. Part of this plan included closing most schools, two-thirds of which were requisitioned and handed over to the Civil Defense Services. Reports indicate that only about fifty percent of the children actually evacuated, leaving nearly a million students without a school. influx of evacuees. 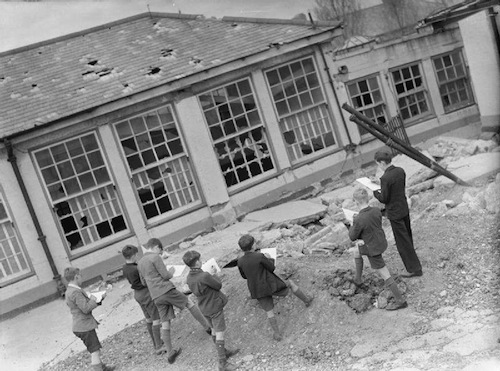 Local students used classrooms in the mornings and evacuees used the in the afternoon. As the war progressed young male teachers were drafted into the armed forces, causing a shortage of instructors and a swelling of class size. 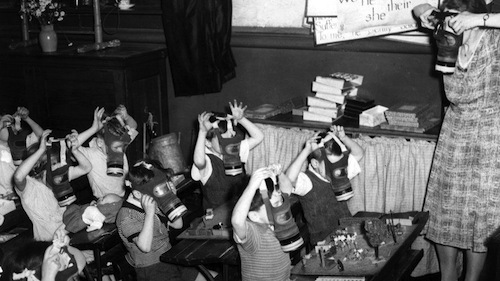 Curriculum was varied, but gas mask drills and air raid exercises were an integral part of the school day for everyone. What unusual experiences did you have during your school days? Forensic Friday: What's in a Bullet?